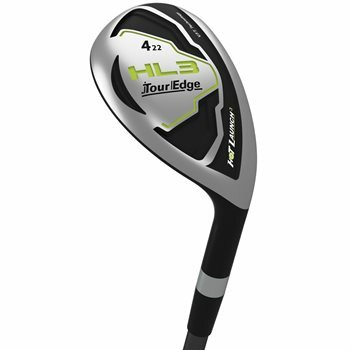 The Tour Edge Hot Launch HL3 hybrid features a 450 stainless steel head construction and forged maraging steel face with low-profile design for exceptional power and feel. Variable face thickness technology provides more contact points on the face for better distance, even on miss-hits. A Power Channel on the sole behind the club face provides added power while rear sole weighting moves the center of gravity back to create an easy launch that flies higher and longer.